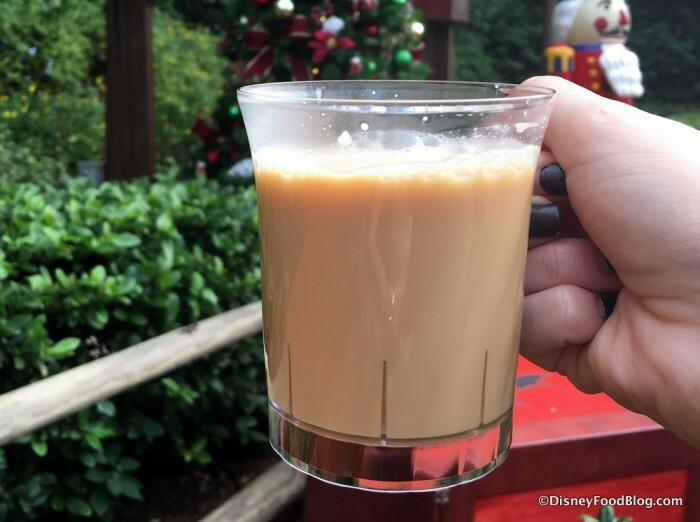 I’ve loved the holiday eats, drinks, and treats that you can get during a cozy winter visit to Epcot during Holidays Around the World. In addition to enchanting stories of winter time celebrations from all over the globe, guests have also indulged in holiday specialties, like Buche de Noel in France and Sweet Tamales in Mexico. 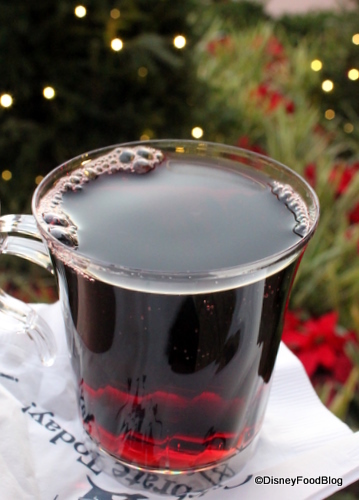 And it’s not Christmas without at least one serving of Glühwein in Germany! But hold onto your Santa Hats — because this year, Epcot will feature full themed FOOD BOOTHS for the Christmas and Winter Holidays!! Look for the ramped-up food offerings from November 25 through December 30! As you can imagine, we’re SUUUPER excited about this development. Let’s check them out. Your first stop is Prost! in the Germany Pavilion. And actually, this booth has been around for a few years, but in 2016, they are expanding their offerings. In past years, we’ve enjoyed an Artisan Cheese Plate, a bevy of warming Drinks (both alcoholic and non-alcoholic), and Werther’s Caramel-laced treats. 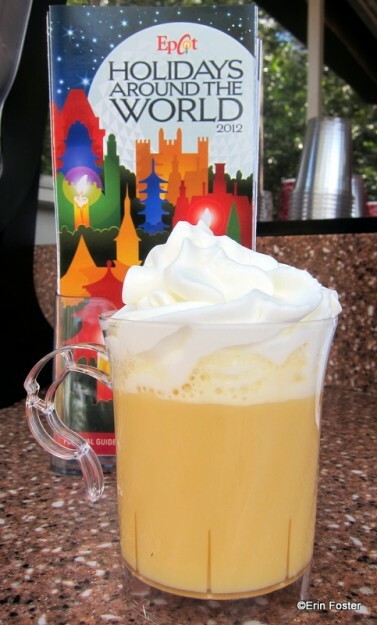 And indeed, we’re happy to see the return of the Cheese Plate as well as Williams Punch, the Caramel Kiss, and Glüwein. 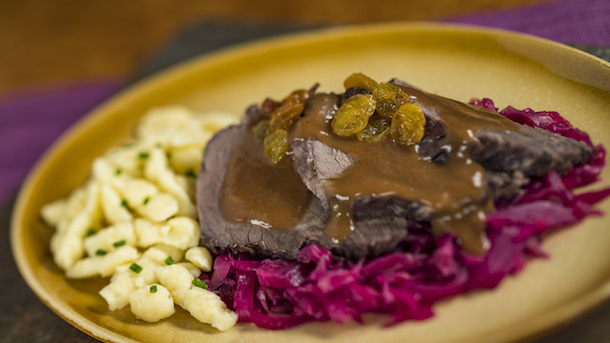 In addition this year, guests can also enjoy Sauerbraten with Red Cabbage and Spätzle! Enjoy traditional flavors of the holiday season when you pay a visit to the American Holiday Table Booth in the American Adventure Pavilion. 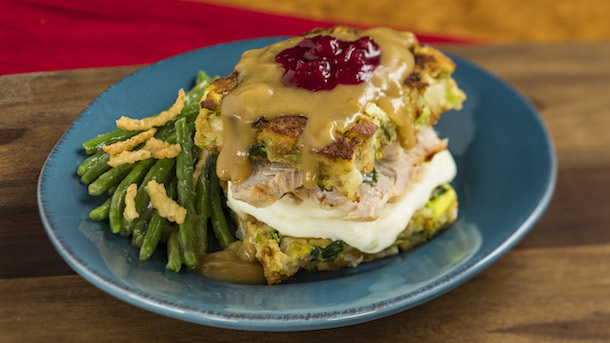 Menu items here include Roasted Turkey with Stuffing, Mashed Potatoes, and Cranberry Sauce. Guests can also enjoy Pork Tenderloin served with Green Bean Casserole, Roasted Sweet Potato Wedges, and a Champagne Demi-Glace. There are plenty of fantastic drinks to pair with the dishes as well. Choose from Shipyard Eggnog White Porter Aged on Bourbon. Or how about a trendy new twist on a seasonal favorite — Firenog, a combo of Eggnog and Fireball Whisky? In addition, you can choose from a few of our favorite wines, Great American Wine Company Red Blend and Chardonnay, made by famed California winemaker Rosenblum. Hot Chocolate, Eggnog, and Cocoa Candy Cane (Hot Chocolate with Peppermint Schnapps) will also be offered. Between France and Morocco, you’ll have the chance to stop by Alpine Haus. Taking its cues from Switzerland and Austria, there are some truly tempting dishes here. Offerings include Duck Confit, Dumplings, and Roasted Brussels Sprouts with a Fig Reduction. But I can’t wait to dig into the Cheese Fondue in a Bread Bowl (!!!!!! ), served with Steamed Vegetables. 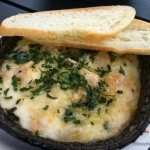 We Have High Hopes for That Cheese Fondue! For a sweet ending, indulge in Sachertorte, prepared in the traditional way with Chocolate Cake, Apricot Jam, and Dark Chocolate Glaze. Wash the rich dishes down with Frozen Winter Spice Hot Chocolate featuring Twinings of London Tea (alcoholic and non-alcoholic version available), or Weingut Stadt Krems Gruner Vetliner (gesundheit! ;-D) White Wine and Heinrich Red Blend. If you’re looking for traditional Southern Comfort Food that pays tribute to the Holidays, then head to Seasonal Southern Delights. 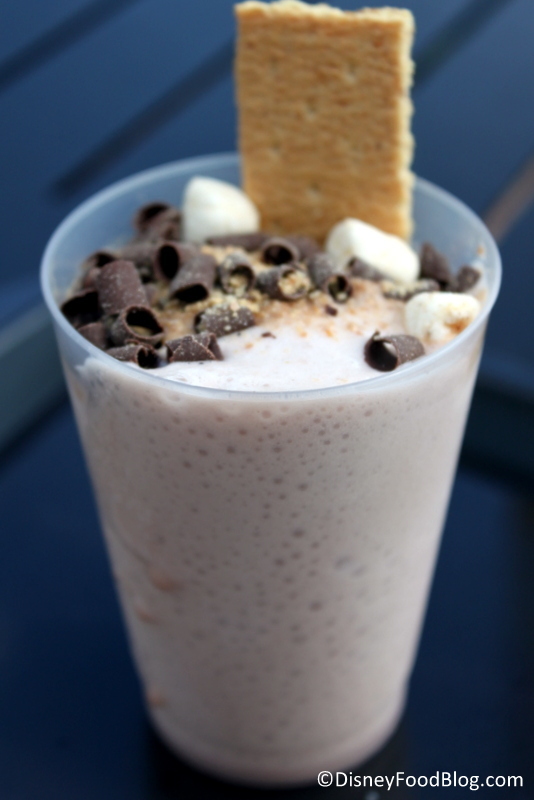 Located near World Showcase Plaza, this stop will offer a popular beverage from the Epcot Food and Wine Festival — Frozen S’Mores. The booth will also offer Hoppin’ John, a traditional New Year’s dish. This version will combine Black Eyed Peas, Ham Hocks, and Kale, and will be served over Rice with Cornbread Crumbles. You can also enjoy Blackened Catfish with White Cheddar Grits and Okra, Tomato and Onion Stew. But don’t forget to save room for dessert — a tempting Chocolate Pecan Tart. 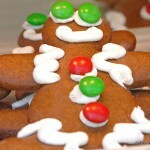 Your final stop on this culinary holiday tour will be the Feast of the Three Kings. 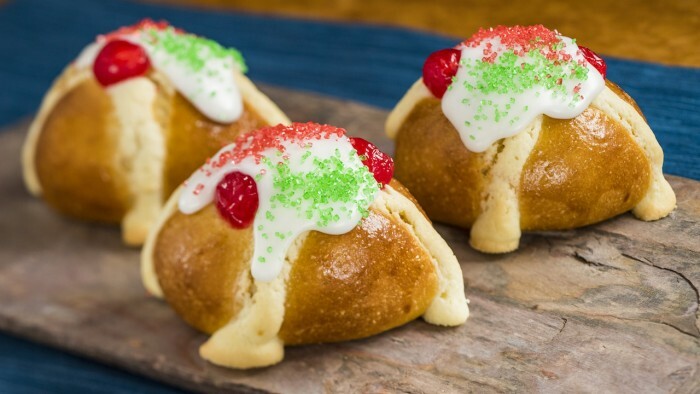 Located near World Showcase Plaza, the booth will highlight the celebration of Three Kings Day, a holiday celebrated in Spain and Latin America as well as the Caribbean. 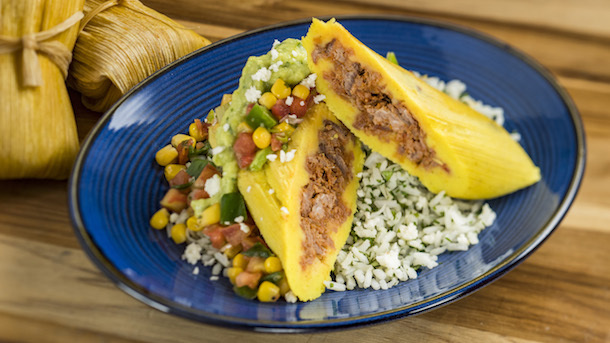 A Shredded Beef Tamale with Avocado Crema will lead off the menu, or you can enjoy Roasted Pork with Mashed Yucca and Pickled Green Bananas. Traditional Three Kings Bread will also be available. Drinks include Coquito, or Coconut Milk, or add a Rum Floater to the beverage for an adult twist. 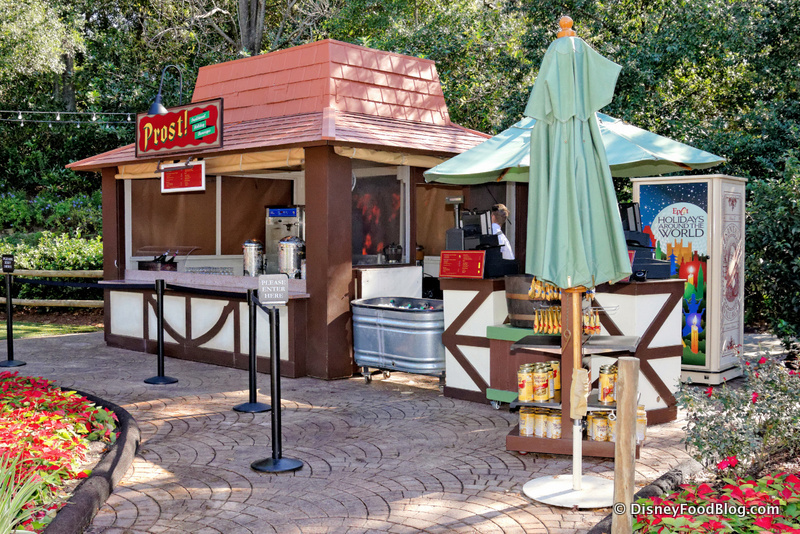 In addition to the booths, you’ll still find plenty of other sweet treats throughout the Park, including plenty of speciality beverages. 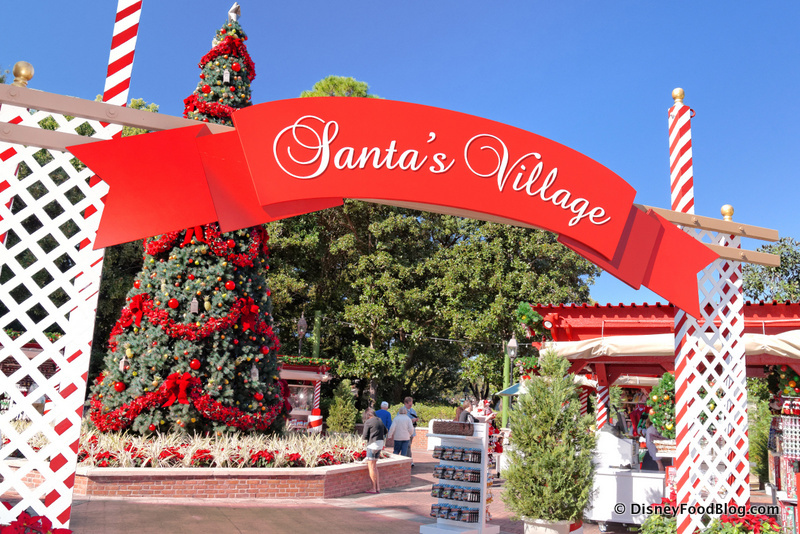 Look for the Mickey Santa Hat Cupcake at Fountain View. 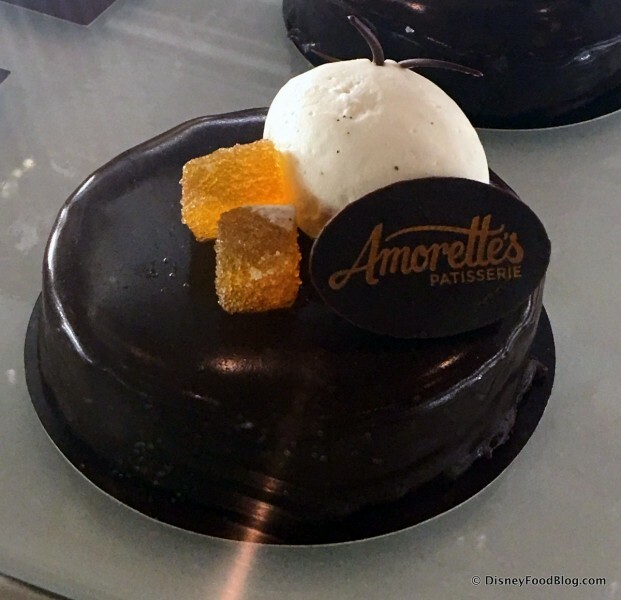 And favorites from past years will also return, like the Chocolate Honey Baklava in Morocco, Panettone in Italy, Guava Tamales in Mexico, and a chocolate Buche de Noel in France. And YAY! 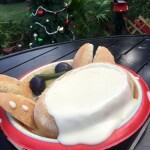 — Gingerbread Ice Cream is BACK at L’Artisan des Glaces! While we bid adieu (sadly to) Happy Face Fried Cakes in China (best. name. ever. ), we look forward to sampling Pai Cha (a Beijing-style Fried Dough treat) in 2016. Wow! There’s so much to look forward to this holiday season! 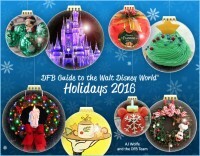 The DFB Guide to the Walt Disney World Holidays, 2016 e-Book is available for pre-order! This 330-page guide to all things Disney Holidays related — not just food! 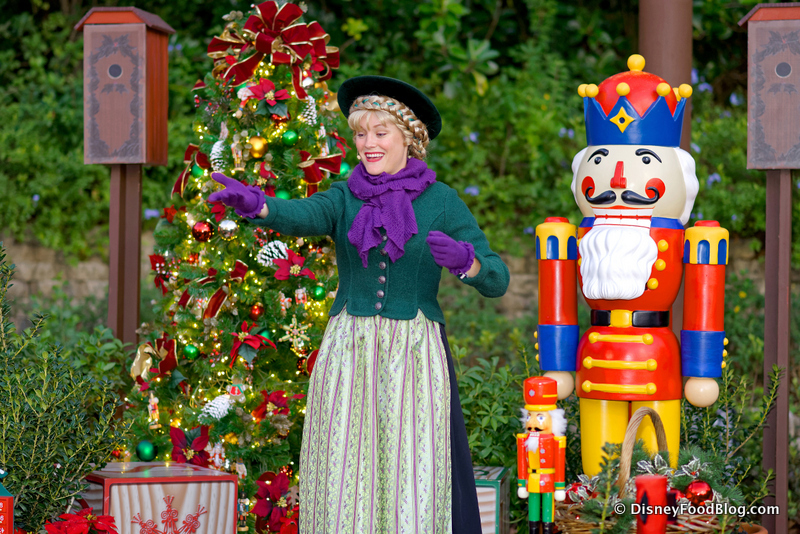 — offers you the latest holiday tips and brand new info you NEED to know before you hit the parks this November, December, and January! Pre-order now, and receive the 2015 edition for FREE as an immediate download so you can start your planning right away! Use code PEPPERMINT at check-out for a 20% off the cover price! 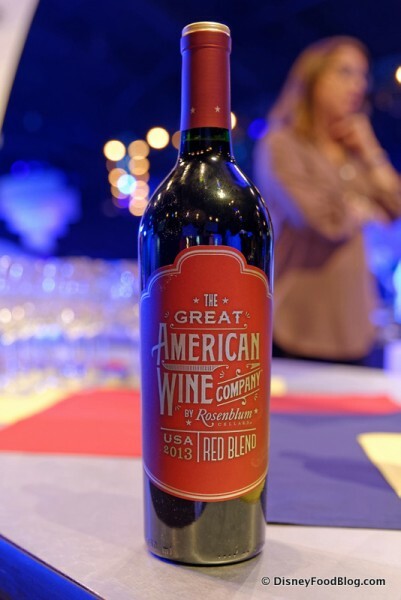 But now, I really want to hear from all of you about this new offering at Epcot! 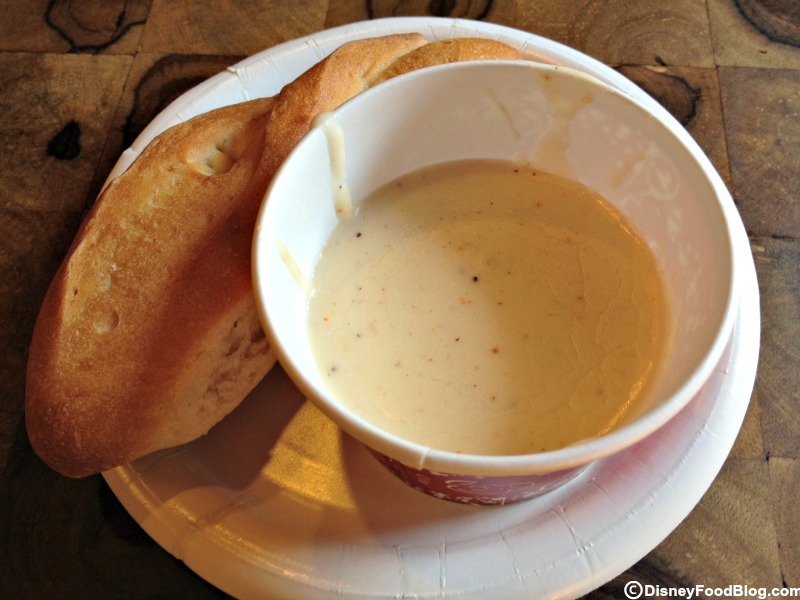 What do you think of the expanded Holidays Around the World menu? Leave a comment and tell us what you think! One of my all time favorite dishes is Sauerbraten and with a side of red cabbage, it would be almost worth a day trip, although I live on the Washington coast. I now wish we were coming at Christmas time. Thanks for the review, looks delicious. 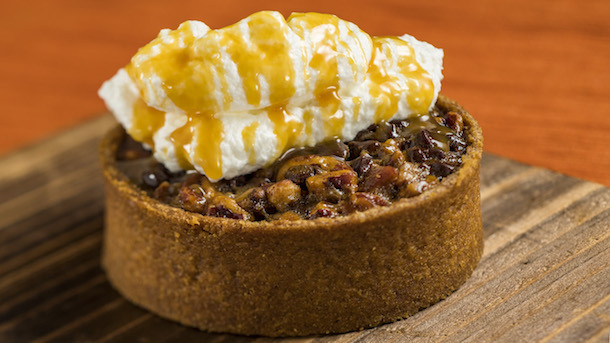 Omgosh, between the treats at the MK and EPCOT, I’d have a hard time choosing! 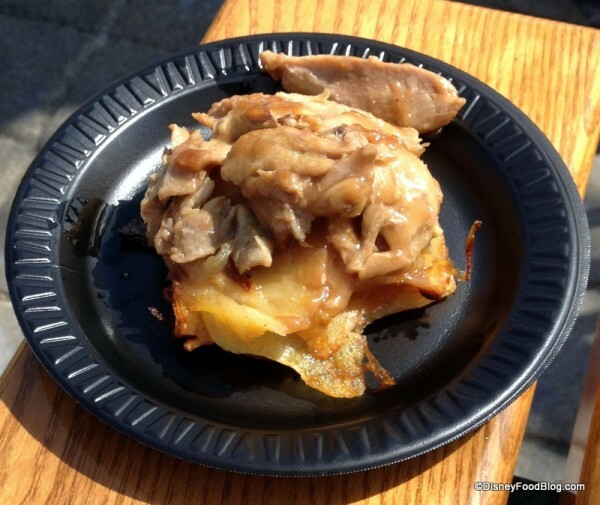 Are the food offerings the same size like the Food and wine festival or full size offerings? What are the dates for the Epcot holidays around the world? I’m so excited to hear about this! 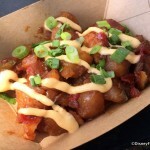 We will be at Disney in 2 weeks….will these offerings be available then??? Well looks like I have some rearranging to do to our schedule for our Thanksgiving trip!!! We are super pumped about this and hope it expands some in the years to come!! Kristen and Andrea — I just added the dates to the post. Look for the new offerings to be available from November 25 through December 30. We will be there in time to try some of these treats. Do you know if they will also have the beer kiosk selling several imported draught beers in the UK area as they had during some past holiday seasons? I’m also curious about the size of these dishes! Some of them sound rather hearty for a small plate. I can’t wait to try them, though! Paul — No word yet on that stand specifically, but we’ll be there to give you a first look as soon as Holidays Around the World begins! 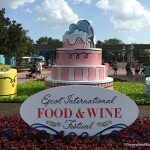 Are some of these snack credits like at Food and Wine? Susan — We’re in unchartered territory with this new offering, but we’ll let you know as soon as we find out! Stay tuned! Is there a chance they will be expanding it into any of January ? I’ll be there the 7th. Well it looks like I will be cancelling my dinner reservation so I can nosh my way through Epcot!!. Been to Food and Wine and Flower and Garden a few times and love Kiosk trolling. This is my first Christmas at the World so I am super excited that there will be kiosks galore!! Any chance do we know whether in the past years this went past the official end date? For example the Disney website says this is scheduled to go until December 30 but does anyone know whether it is likely they might still have the food stands and holiday entertainment available one extra day on December 31 or is that not very likely? Thanks DFB team for reading! Are these part of the dining program? If so, are the a quick service or snack?? Any information on which items are gluten free? Belinda and Christina — I second what Anne Marie has said. While you never know with Disney, they’re usually pretty firm on their end dates. Also, Holidays Around the World tends to coincide with the Candlelight Processional, which holds its last performance 12/30. Going next week! Where are the “passports” available? Also, does on get a stamp after trying the different dishes?